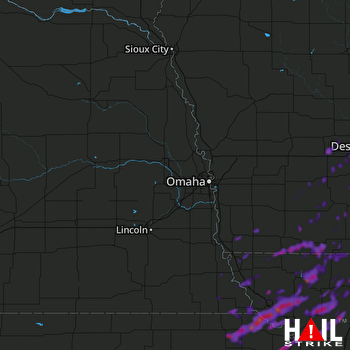 Doppler radar detected Quarter size hail near Shenandoah, IA, Wells, MN and Bedford, IA on August 31, 2018. This hail storm was traveling ENE at 15 mph and the entire storm produced hail for roughly 2 hour(s). There were 1 spotter report(s) with reported max hail size of 1″ and an average hail size of 1″. We estimate that 26,452 buildings were in the affected area and the probability of hail DHI detected was significant. Based on this information, you can expect potential damage to fruit, crops and vegetation, but not much else (Intensity Rating 1). 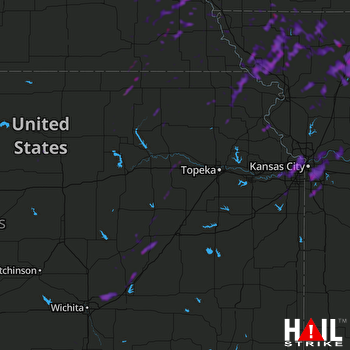 Doppler radar detected Half Dollar size hail near Hiawatha, KS, Oregon, MO and Cottonwood Falls, KS on August 28, 2018. This hail storm was traveling NE at 32 mph and the entire storm produced hail for roughly 1 hour(s). 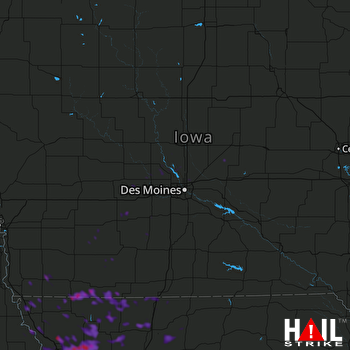 There were 1 spotter report(s) with reported max hail size of 1.25″ and an average hail size of 1.25″. We estimate that 10,989 buildings were in the affected area and the probability of hail DHI detected was significant. Based on this information, you can expect potential damage to fruit, crops and vegetation, but not much else (Intensity Rating 1). 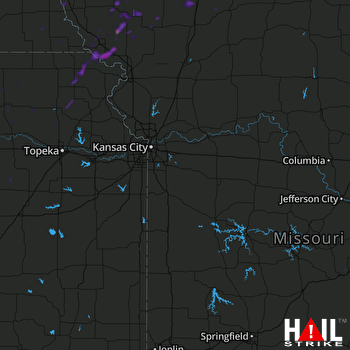 Doppler radar detected Quarter size hail near Shawnee, KS, Leawood, KS and Mission, KS on August 29, 2018. This hail storm was traveling ENE at 43 mph and the entire storm produced hail for roughly 12 hour(s). There were 2 spotter report(s) with reported max hail size of 1.25″ and an average hail size of 1.13″. We estimate that 41,099 buildings were in the affected area and the probability of hail DHI detected was significant. Based on this information, you can expect to find damaged crops, glass damage, automobile bodywork damage, as well as isolated roof damage (Intensity Rating 3).